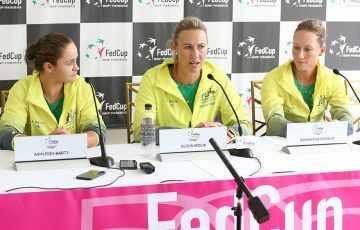 The entire Australian Fed Cup team has converged on Chiasso, Switzerland and is judiciously preparing for this weekend’s World Group Play-off tie. 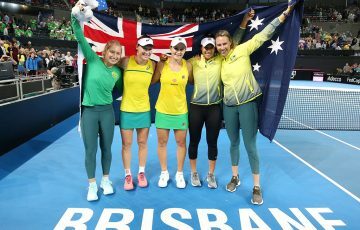 Their schedules may have been very different, but the entire Australian Fed Cup team has finally converged on Chiasso, Switzerland and is judiciously preparing for this weekend’s World Group Play-off tie. Sam Stosur arrived on Tuesday in the southern Swiss region, while Ash Barty jetted in on the Monday night, having survived a lengthy trip from the Pelham ITF event in Alabama via Atlanta, Georgia. With the pair joining Casey Dellacqua, Jarmila Gajdosova and Storm Sanders, the squad have begun practising in earnest. 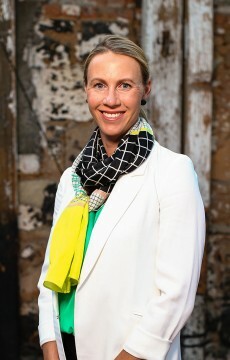 Their work ethic has thrilled Alicia Molik, in her second tie as Fed Cup captain after taking over the reins from David Taylor earlier this year. “I’m really pleased with the output of the team. The first couple of days is really for the players to get used to the claycourt surface. We’ve noticed that the centre court is playing a little slower than the outside courts so it’s important that we get enough time on the centre court,” she explained. It’s a team line-up that remains unchanged from the squad that travelled to the Czech Republic in February for the first round tie of the 2013 World Group. Although Australia went down 4-0, the visitors were facing the world’s best nation and played many of the rubbers extremely close. The only new addition is Sanders, who joins the team as an “orange girl” as reward for her work ethic and excellent results this season, which have seen her slash her ranking by around 300 places in just two months. “It’s great to have her (Sanders) here, and her attitude is just fantastic,” Molik said. “She’s an extremely hard worker, and it’s a real opportunity for Storm to pick the brains of our players, and to be around a top 10 player like Sam Stosur, and obviously Casey’s been on tour a long time, and Jarka (Gajdosova) also. The captain said she had faith in her squad, one that she believed could have beaten the Czechs. 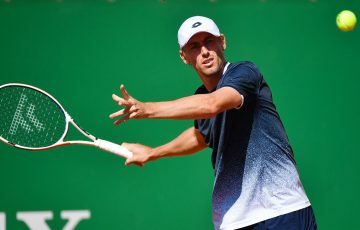 With Stosur, whom she described as a “leader”, Molik has a top 10 talent – ranked far higher than any Swiss player for the 20-21 April tie – who’s at her best on European clay. 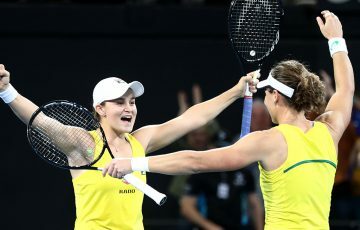 Couple that with a formidable potential doubles combination of Dellacqua and Barty, who reached the Australian Open final just a few months ago, and it’s a line-up that Molik feels should have too much firepower for the host nation. But she’s not underestimating the Swiss. 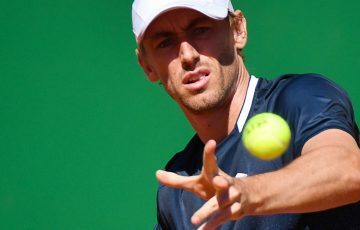 Despite Australia beating Switzerland in their last meeting in February 2012 – on clay in Switzerland, no less – and having won five of six career meetings between the two nations, Molik says the hosts will be a tricky proposition. 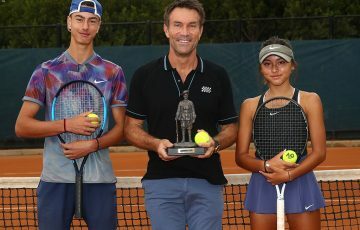 “They have a bit of talent, particularly Stefanie Voegele (world No.56) – she had a great performance in Charleston very recently, beat some big scalps and she’s a dangerous player on her day,” she said. “And of course Romina Oprandi (No.52), she’s really risen up the rankings, she’s a lot fitter than she was a couple of years ago. She’s really flamboyant, and she sets a lot of traps – she likes using the slice and drop shot, and moving the ball around the court.